Joy Division, a bigger sectional. Photo: Prudence Upton. The orchestra might once have seemed the antithesis of rock and electronic and amplified instruments. But now, the lenses of electronic sound and recording can be second nature. Yes, that’s London’s Southbank Royal Festival Hall – and yes, that’s a whole bunch of microphones amidst the music stands, feeding a massively-multichannel mix of the ensemble and blurring the line between acoustic and non-acoustic. There’s also the unmistakable panel of a Moog Little Phatty in one shot. But the project may be just as noteworthy for its reworking of Joy Division, whose post-punk sounds would have a profound impact on aesthetic directions in rock and dance music on their way to present day. Here, they’re “reimagined” in a new arrangement (not just a “cover,” they caution) and with visuals rolling on an immense screen in the background. Heritage Orchestra & Scanner Live Transmission London from FOUNDLIGHT Productions on Vimeo. We saw a similar link between acoustic instrumentation and classic, amplified popular music in the Kompakt reorchestrations of Gregor Schwellenbach. Joy Division seems a logical place to turn next. 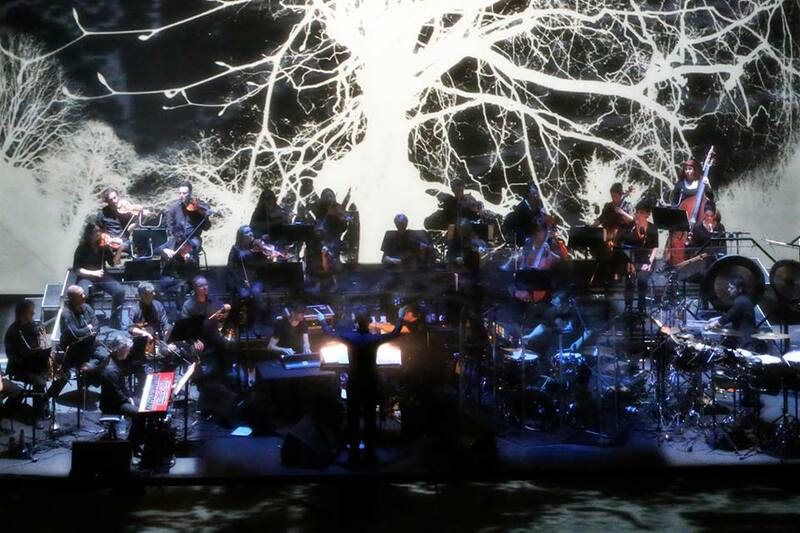 Electronic band are melded with orchestra, full-orchestra arrangements alongside. Matt Watkins provides real-time visuals. “They weren’t trying to be big and clever,” Watkins concedes in describing the project – the challenge being keeping a punk aesthetic even with a massive-scale project like this. This is no slavish replication of Joy Division songs, rather a series of miniature symphonies loosely inspired by the band’s music and which, incorporating classical music, rock and electronica, veer between quietly hypnotising and dense and furious. Oh, and very, very loud.